Original singed cover letter of applicant’s company/employer (where applicable) standing name, position, salary, duration of employment, address and contact number of the employer, purpose and duration of visit to Turkey state(s). Government employees must provide the Ex Pakistan leave or NOC from relevant departments if he/she is granted visa. If the applicant is a student original signed letter from applicant’s school college/university. 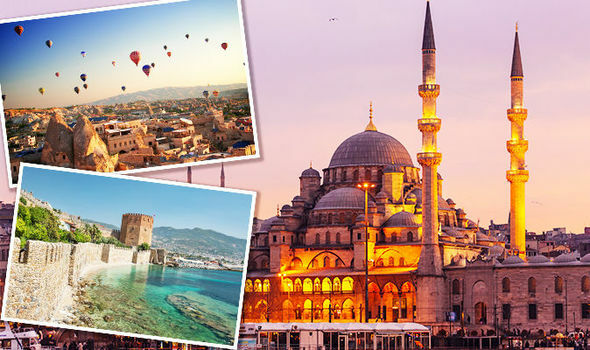 Margalla Hills Travel and Tours well-known Travel & Tours Company in Pakistan are pleased to offer visit visa of Turkey at affordable rates for Travelers around the globe. Traveling with us will regulate your imagination with reality & you can get an opportunity to enjoy the natural beauty of Turkey. We also provide 5 star hotel Accommodation along with return tickets at low rates.